When visiting new and different places it is often helpful to have a good navigator. The Ahsomme Navigator helps you get around the many parts of Ahsomme. You can go to any part of the Ahsomme system from the Navigator. To programs like Receipts and Yield, for instance. Just click on the Lists & Programs button in the top, middle of the screen to see the programs available. All programs in the system have a button to return to the Navigator. From the Navigator you can pull up a list of records. In the picture above the Navigator is displaying the “Orders Master List” showing all of the current orders/quotes/voids etc. It can also show archived records. 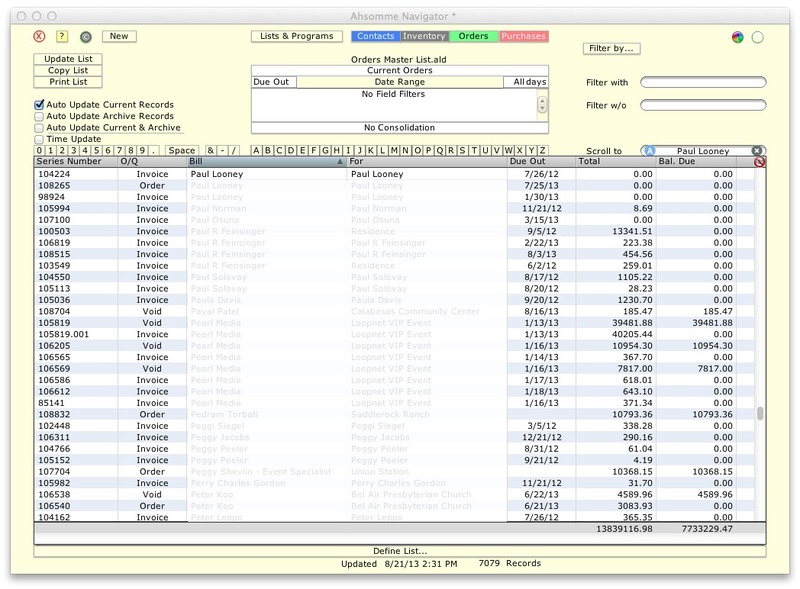 There are pre-built “Master” lists for Contacts, Customers, Inventory Items, Notes, Orders, Purchases, Sites and Vendors. You can make your own lists; the Navigator contains a built-in list maker. 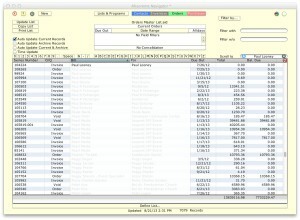 The lists can be sorted, searched, filtered, consolidated and printed. Click on any record in the Navigator list to open an Editor for that record, for example: the Orders Editor.